Discover ChainDrive! Book a Demo Now! We're exhibiting at the JCK Las Vegas, May 31st to June 3rd, 2019 in the Essentials & Tech area Booth 55080. Multidev keeps on evolving in the top half of the top 20 master list with an impressive 8th place position! Did you know that our solutions distinctively cater to vertical specific enterprises? Discover the flexibility, versatility and adaptability of our Omni channel software. ChainDrive is a fully-integrated omnichannel retail software that provides today’s retailer with “real-time” valuable insight across the enterprise. Comprising of industry specific retail process components that leverage a centralized database, ChainDrive enables you to maximize productivity, improve efficiencies and optimize processes across all channels. Specifically designed and developed to meet the industry demands of omnichannel retailing, ChainDrive synchronises operations throughout the physical and digital selling environments to truly offer a completely unified system. ChainDrive empowers you to meet consumer demands by seamlessly providing them with what they want, when they want and in their channel of choice. From point of sale, merchandising to flexible fulfillment through to financials and more, ChainDrive offers you all of the functionality required to meet the demands of today’s rapidly evolving retail environment in one complete unified system. ChainDrive is a fully integrated end-to-end ERP and Omnichannel software designed for today’s multi-channel retailer (retail, etail and wholesale). ChainDrive’s unified commerce platform enables retailers to manage and control all business channels within a single environment. e-comDrive is a fully-integrated Back-Office System exclusively designed and developed for today’s web retailer. 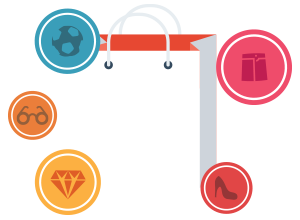 Its revolutionary components and robust attributes offers etailers the most all-inclusive advanced ecommerce software on the market. ChainDrive for Wholesale is a component that has been specifically developed for wholesale suppliers. It seamlessly supports the management of all front-end and back-end operations which allows wholesalers to gain real profit from extensive process control. Central visibility of inventory allows us to work smarter with the inventory we have. Instead of excessive orders, for instance, we can often transfer existing inventory to meet demand. We chose Multidev primarily because the company gave us one integrated, end-to-end system that gave us the upgrades and the tools we needed, without requiring us to deal with multiple vendors, platforms, or add-ons. Using a single system for all of our retail management needs has proven to be the most efficient and cost effective method of optimizing our business processes. With a solid infrastructure in place and a professional support system to rely on, we can now focus our efforts on expansion with ease of mind. To discover the power of our Fully-Integrated ERP and Omni-channel Software Solutions for yourself, request a free online demo and we will be glad to show you how our software suite can help take your retail chain to the next level. Grab a coffee, get started and CUSTOMIZE YOUR REQUEST so that our people can get back to you with smart answers! Join the conversation! Sign up to receive emails for news, tips, and general info.